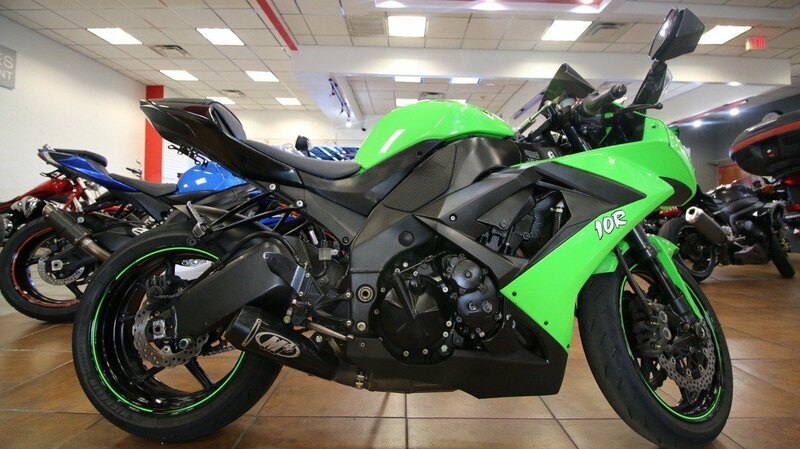 Bristling with Technology, Built for Speed When passion and technology merge, great literbikes are born — including the 2012 Ninja® ZX™-10R. 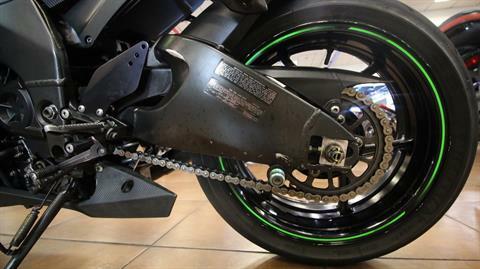 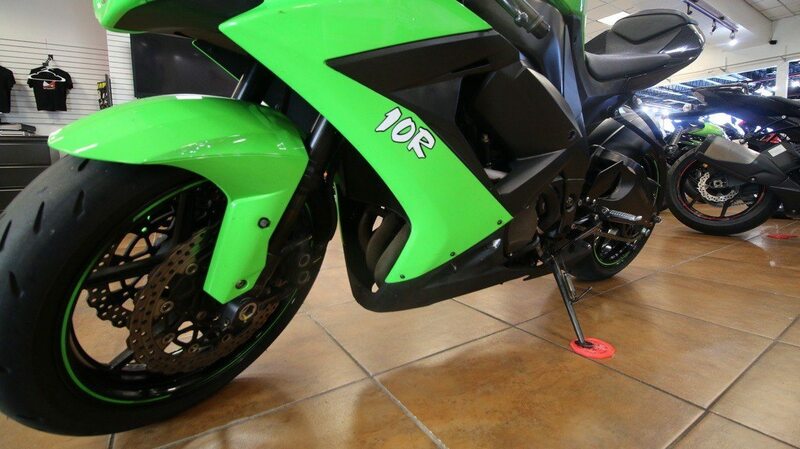 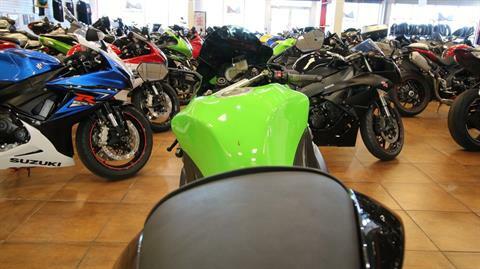 Overhauled just last year, the ZX-10R bristles with the newest technology, including Sport-Kawasaki Traction Control, elevating it above all others in its class. 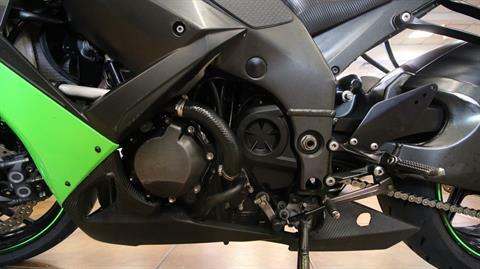 Kawasaki engineers created an engine that produces an astounding amount of horsepower, yet maintains the reliability Kawasaki is known for. 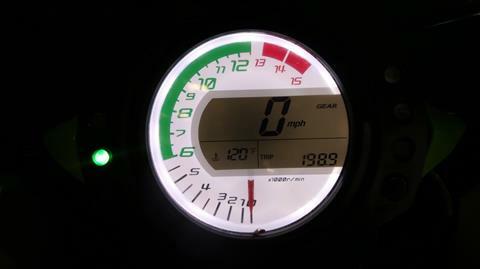 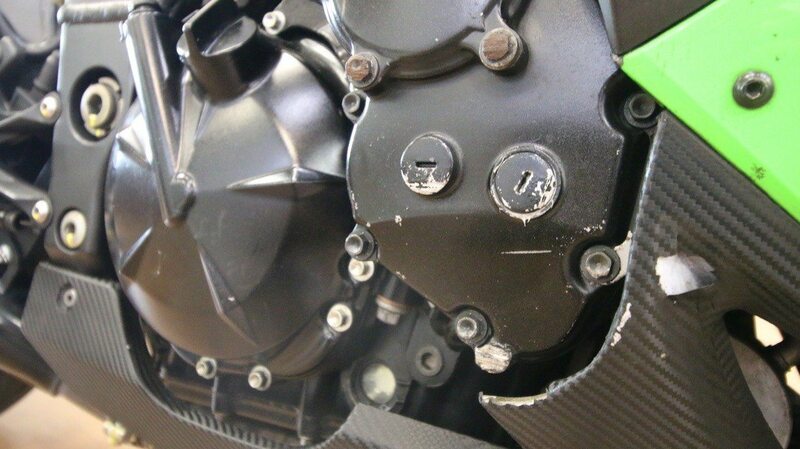 All of this technology only enhances the already incredible speed and intense feeling a rider gets while aboard a ZX-10R. 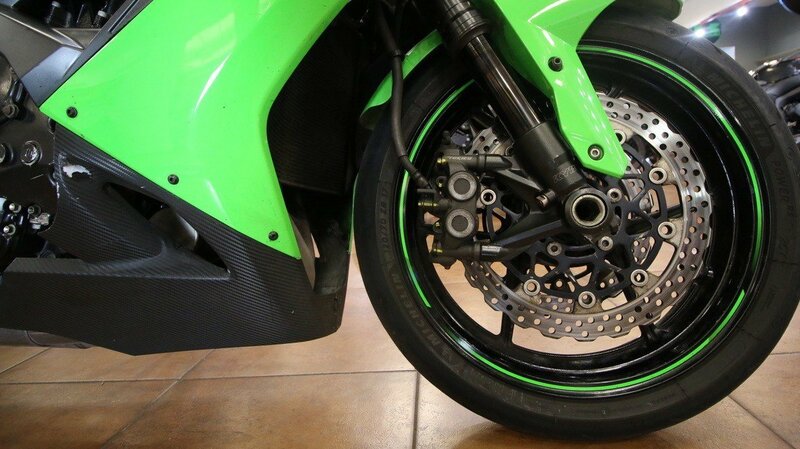 The highly advanced and customizable Sport-Kawasaki Traction Control lets riders harness and capitalize on the ZX-10R's amazing blend of power and responsive handling. 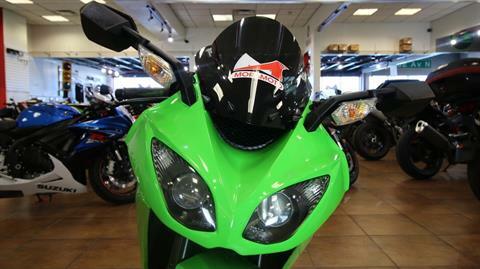 The system is called Sport-Kawasaki Traction Control, or S-KTRC. 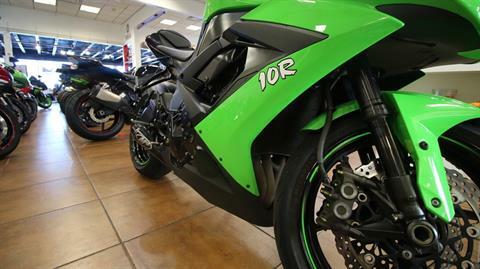 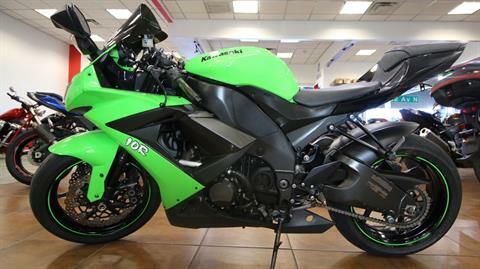 Exclusive to the ZX-10R, it offers a level of performance that raises the ZX above the rest of the open sport bike class. Oil inside the BPF acts on a surface area almost four times the size of a conventional fork’s. 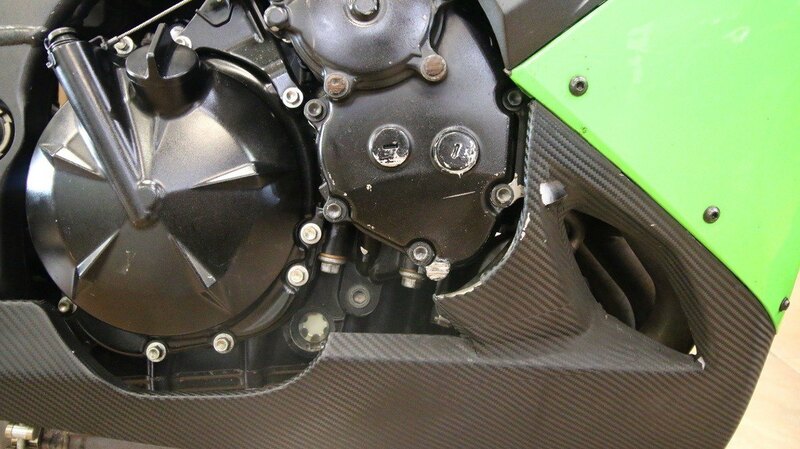 The larger surface area allows damping pressure to be reduced while ensuring that damping force remains the same. 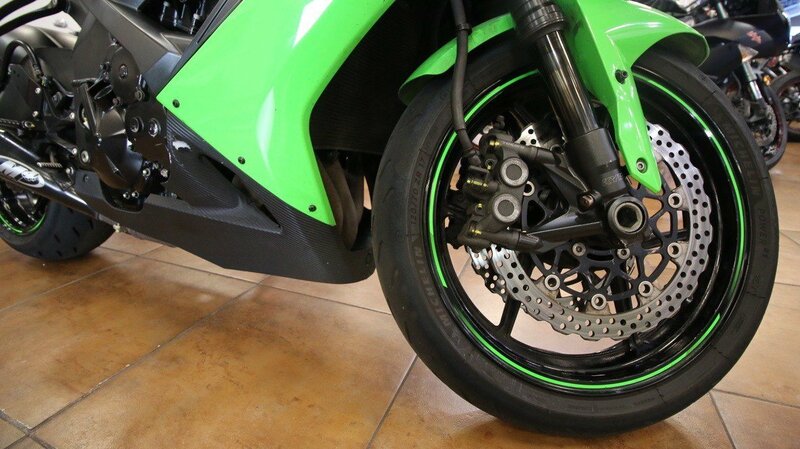 Reducing damping pressure allows the inner fork tube to move more smoothly, which is especially noticeable at the initial part of the stroke. The result is greater control as the fork compresses and very calm attitude change as vehicle weight shifts forward under braking, and contributing to greater chassis stability on corner entry. 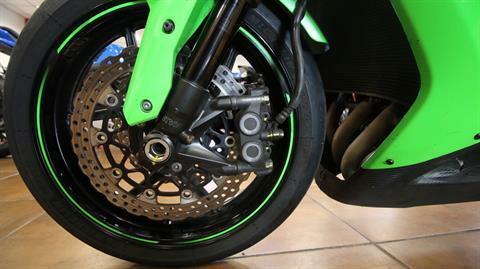 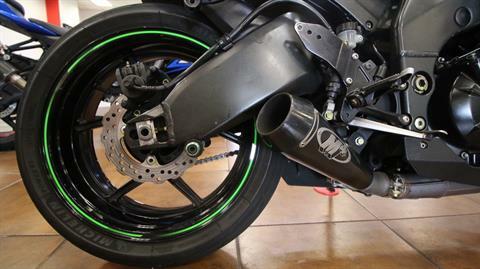 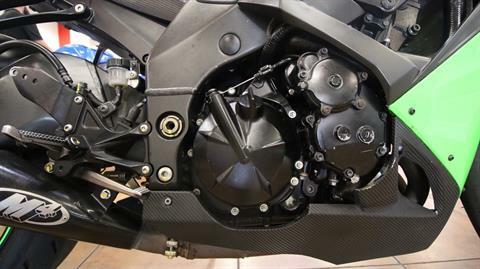 An adjustable twin-tube Öhlins steering damper is standard. The second tube acts like a reservoir, allowing the internals to ensure stable damping and excellent feedback even under racing conditions. Using complex analysis, the system is able to predict when traction conditions are about to become unfavorable. By acting before slippage exceeds the range for optimal traction, the system can quickly and smoothly reduce power slightly so the wheel regains traction.